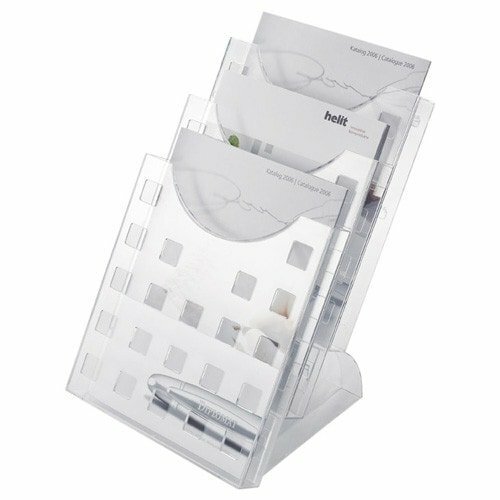 This tabletop brochure holder from Helit is ideal for presenting service and patient information. The tabletop brochure stand has 3 brochure compartments and one mounting stand. Thanks to its refined and elegant design, the brochure stand is ideal for placing in waiting rooms, consultation rooms or in a reception area.